English is widely regarded as one of the most difficult languages to properly master, filled with inconsistent rules, odd word uses and strange grammar. By comparison, the benefits of learning English are fairly easy to understand. A good grasp of English, in a majority English speaking country, leads to better connections with your community, better job prospects, and a better social life. 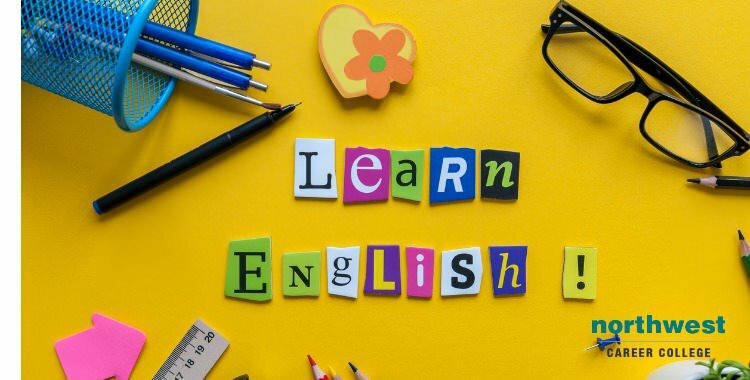 It’s because of these obvious benefits that we here at Northwest offer free English as a Second Language (ESL) courses for Spanish speaking individuals that are open to all our students, their families, and their friends. If you’ve decided to take the plunge and start learning English with us, here are 5 easy to use tips to help you improve your English. Learning a new language, especially one as difficult as English, is a constant and ongoing process. You should work on building your vocabulary every day by finding new words to learn and repeating those words to build them into your memory. Try finding and learning just five new words every day. Underline words you don’t understand in newspapers and books, then use an English dictionary to look them up. Once you understand what they mean, write those new words and their meanings down at least ten times each to help commit them to memory. Learning five new words every day could take you as little as 30 minutes and result in you learning 35 new words every week. Sure, it might make you seem a little crazy at times, but speaking to yourself in English is a great way to cement new words and phrases into your memory and practice your pronunciation. Try putting on an English language TV program as you go about your daily business and speak along with the actors. The more English you learn, the more words you will begin to recognize and you’ll soon find yourself picking up new words and correcting mistakes in pronunciation you didn’t realize you were making until you said the words out loud. Group learning is an excellent way to stay focused, learn new things and receive the support you need while you learn English. Working as a group is made that much easier at Northwest as we offer free ESL courses for Spanish speaking individuals that are open to all our students and their family and friends. Find others who are learning English and set up scenarios to practice your new vocabulary and phrases. It’s a great way to practice your conversational English, especially if you’re aren’t quite ready to try it out in public yet. A synonym is a word or phrase that means exactly or nearly the same as another word or phrase in the same language. Words that are synonyms are said to be synonymous. Learning new synonyms is an excellent way to build variety into your English and online dictionaries are a great way of learning synonyms. When you are learning your 5 new words per day, try typing them into an online dictionary. Generally, you will get the option to see synonyms of the word you have entered. Make a list of those synonyms next to the new word you are learning and try substituting one of them in place of that word, every now and then, to increase the range of your vocabulary. It’s a part of modern life that we are surrounded by media, there’s probably a song or video playing somewhere around you at all time. This constant immersion in English media is an excellent way to learn. Any time you find yourself listening along to the TV, radio or even other people’s music try actively listening rather than letting it blend into the background. Paying attention to what you are listening too can help you learn a great deal about inflections and nuances of specific words. Start Learning English With Us Today! The benefits of taking an ESL course are clear. By improving your English skills you gain better access to education, a better earning potential, a better social life and even better results from healthcare. We here at Northwest Community College are committed to enhancing our student’s lives, which is why we are proud to offer our ESL courses free of charge to our students and to extend that offer to their families. Our seasoned language teachers are experienced in working with international students from all over the world and are there to help you get the most from your classes. To help your lessons fit in with your work and home life we also offer day and weekend classes. If you are interested in taking advantage of this excellent opportunity then call one of our ESL councilors today at (702) 403-1592. Previous Blog: Can Massage Therapy Help With Scleroderma?Next Blog: Is Dental X-Ray Exposure Safe?